Beach Burrito Co joined our Mission to help provide access to “Clean Water for All by 2030”. This Mission was initiated by the United Nations. A big thank you to Beach Burrito Co’s team and customers for joining this extremely important mission on 08 December 2017. 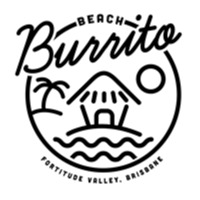 Beach Burrito has since opened thirteen company owned and run restaurants across Australia. Mixing Australian beach side culture with healthy Californian style Mexican cuisine, Beach Burrito has successfully established itself as a well known, respected destination for Mexican food lovers, tourists and locals alike. Seasonal dishes keep the menu fresh alongside a thoughtfully crafted beverage offering with everything from piña coladas to buckets of beers and the sweetest sangria in all the land. With a food philosophy firmly grounded in sustainability and supporting Australian companies, Beach Burrito aims to provide exceptional Mexican cuisine at an affordable price.